Are you stopping three feet from gold? If you’re into personal growth (which is highly recommended for all business owners), then you most likely have come across Napoleon Hill’s classic book Think and Grow Rich. There was a story he shares called Three Feet from Gold. It’s basically a story during the time people went digging for gold to achieve wealth. There was a man (Mr. Darby) that used his savings and those of his family’s and bought a great deal of equipment in order to dig for gold. He went on his quest to dig, but then got to a point where all signs of gold seemed to disappear. Feeling disappointed and frustrated, he then sells all the equipment’s to some ‘junk man’ who sought counsel of an engineer that lead him to finding gold just three feet from where Mr. Darby left off! This story struck me because there are so many times when many of us face what seems to appear as a defeat and failure as we take on a project that we hope will bring us success. This is something many business owners face. We get an idea that we are passionate about, and then we plan and start taking action. At first things are going well and we are surprised at all the opportunities that seem to present themselves to us. As time goes on, things may get stagnant and we feel that our business is not progressing and we find it difficult to get to the place we envision in our dreams. Months, even years go by and nothing. As a result, many of us see this as a sign that it was not meant to be and often times, just when the tide is about to turn, we give up! What would have happened if Mr. Darby kept going? He would have had all his dreams come to reality. However, his dreams of finding gold never came to pass because he stopped just three feet from gold! How many times has that happened to you? Have you ever started something just to give up because it was just too difficult? If you knew you could not fail, what would have been your choice? I truly, believe that we can never fail! I know some people may not agree with this statement, but that is my belief! If we are persistent enough and keep working on our dreams, we will see it in physical form. I am also reminded of the story of Jim Treliving who is Owner of Boston Pizza International Inc. and also one of the dragons in Dragon’s Den, the show where “wealthy high-powered entrepreneurs are pitched ideas from hopeful entrepreneurs looking for the dragon’s investments.” I saw a feature story on Jim when he was just starting out. There were times that were so difficult for him and his business that it was difficult to make ends meet. He worked several different jobs just to keep his business going. It amazes me when we look at him now, and admire or even envy his success and not realize nor think about all the trials he went through before he “reached gold”. He did not stop when times got tough, but keep persisting until his goal became a reality. This is not easy to do, I know this, and that is why I always advise people to have passion in whatever business they wish to pursue. Your passion will fuel your energy and not allow you to give up just shy of your goal. It is the passion and love for what you do that drives and inspires you to keep going and push past any delays or detours in your journey. During these times, it is important to remember that these delays are not denials and that it only becomes a denial when you say so! Only at the point that you call it quits will you lose because if you keep persisting you will eventually achieve your dreams. It is not a matter of if, but when! Uchechi Ezurike-Bosse is a Business & Lifestyle Strategist, Speaker and Writer, but most importantly, a proud Mother and Wife. 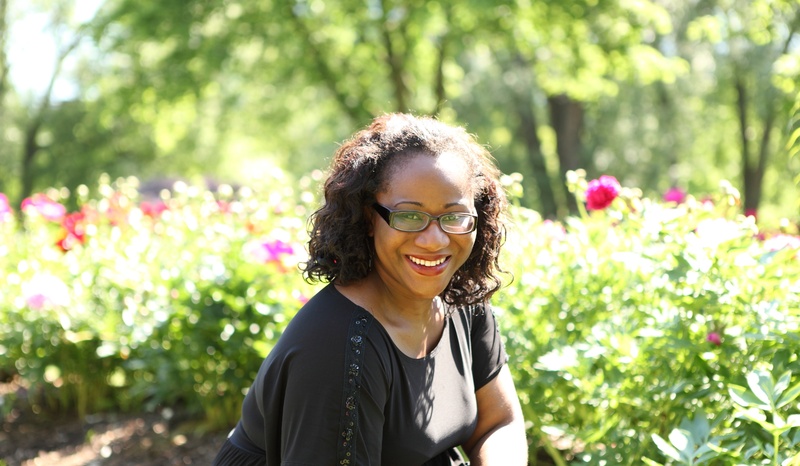 Uchechi is Founder of My Empowered Living (http://www.myempoweredliving.com) a website aimed at helping women shift their mindset and live their passion! Whether it’s starting and building their dream business, or helping them create a lifestyle they crave, Uchechi is the modern woman’s secret to success! Visit Uchechi at www.myempoweredliving.com to get her FREE online video training series The 4 Keys to your Business Success! This free 4-day business training reveals her 4 key strategies needed to build a profitable and successful business, and how to put them to work in your business!